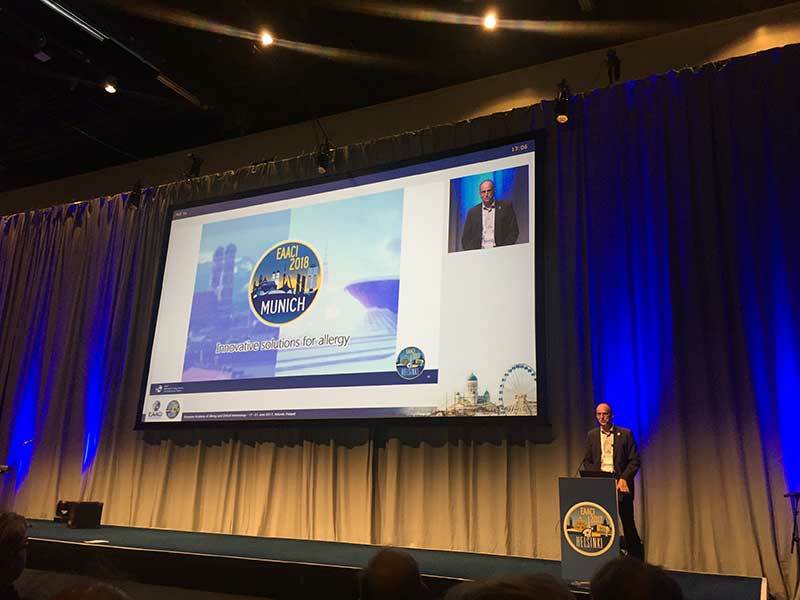 Antti Lauerma, EAACI Congress 2017 Chair opened this final ceremony by giving a summary of the online reach of the congress and the in person attendance. With over 8,000 delegates EAACI 2017 was the largest event of its kind in the world. Through twitter and social media the reach of the event was 20 million. Dr McKeon and Dr Ryan enjoyed a highly informative congress with superb scientific sessions along with posters (including igloos! ), plenary sessions and workshops. They met with several key opinion leaders at the congress, who were experts in the field of asthma, allergy and inflammation, which were highly relevant to the Allergy Standards mission and the asthma & allergy friendly® certification program. They also be meet with a number of potential companies as candidates for the certification program along with testing and inspection partners including Indoor Biotechnologies. Further details of their attendance and insights can be found on the video blog; EAACI Video blog. The Congress took place in Helsinki, Finland from 17-21 June 2017. It was organised by the European Academy of Allergy and Clinical Immunology (EAACI) which offers a unique opportunity to learn about new discoveries and exchange experience with professionals in the field of allergy and clinical immunology. The theme for the Helsinki Congress was “On the road to prevention and healthy living”. 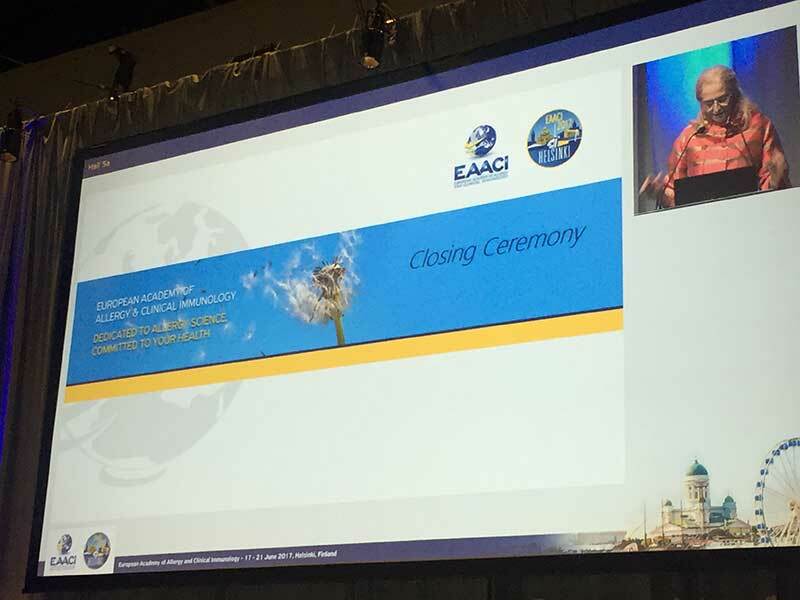 A unifying theme for EAACI, in making patients’ lives healthy, and controlling inflammation, despite their allergies. With more than half of all Europeans soon expected to suffer from allergy, ensuring our patients have a better quality of life, despite the allergy epidemic, is an obvious goal for the association, said Antti Lauerma, EAACI Congress 2017 Chair.